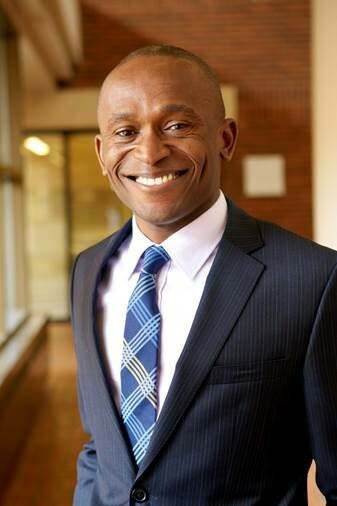 Dr. Ubaka Ogbogu is an Assistant Professor in the Faculties of Law and Pharmacy & Pharmaceutical Sciences and the Katz Research Fellow in Health Law and Science Policy at the University of Alberta. He holds bachelor’s and graduate degrees in law from the Universities of Benin (Nigeria) and Alberta, and he completed his doctoral work on the legal history of vaccination policies in Canada in the Faculty of Law at the University of Toronto. His scholarly work is focused broadly on the ethical, legal and societal implications of novel and emerging biomedical research and health care technologies, primarily stem cell research, and on the ethical, legal and social challenges associated with existing medical and public health systems, practices and infrastructures. He has held and worked on numerous stem cell and cell therapy research grants, and he is a member of the Canadian Stem Cell Network. His academic publications have explored a diverse range of issues in health care and science policy, including health information privacy protections, genetic testing, bio-banks, stem cell research, ownership of the human body, genetic discrimination, global health, public health, vaccination, infectious diseases and research ethics, and ethical and legal issues surrounding complementary and alternative medicine. Dr. Ogbogu is the recipient of the 2015 Confederation of Alberta Faculty Associations Distinguished Academic Early Career Award and a member of the University of Alberta’s prestigious Health Law Institute.